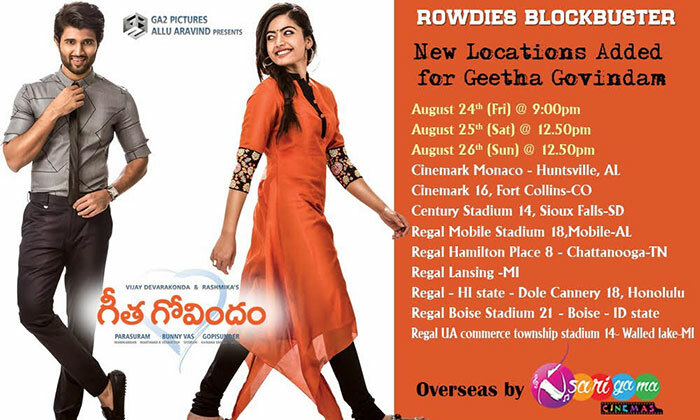 Time for another biggie with Geetha Govindam. Sarigama Cinemas now bringing another crazy project of the year 2018 into overseas market. It’s a romantic/comedy potboiler. 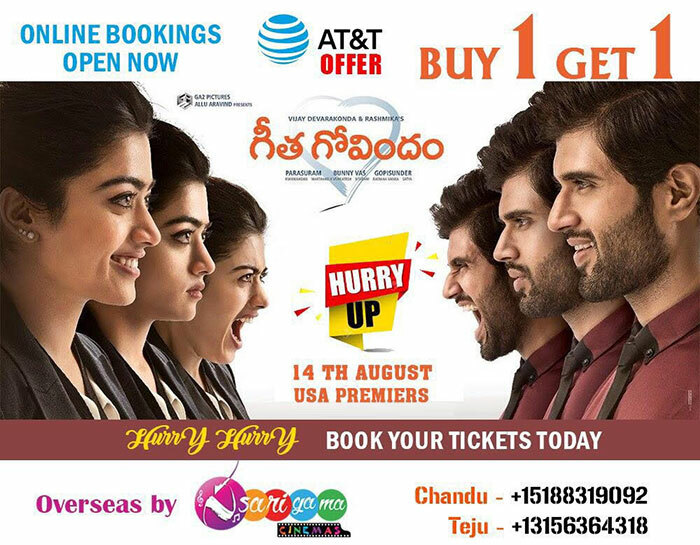 Vijay Sai Devarakonda, a promising actor with the massive success of Pelli Choopulu & Arjun Reddy, has now cemented his position as a leading star in Tollywood will be the hero of this film. Rashmika Mandanna as Saanvi in 'Kirik Party' won Kannadigas’ hearts and won appreciation from other film industries is paired opposite with Vijay Sai Devarakonda. The film is currently on sets and details of entire film crew will be revealed soon. This new film is produced by Bunny Vas and Presented by Allu Aravind under the annexure production house of Geetha Arts (GA2) which made super hit Bhale Bhale Magadivoi.. Film’s music is composed by Gopi Sunder, Cinematography by Manikandan and directed by “Parasuram” of Sreerasthu Shubhamasthu fame. Bunny Vas stated that director Parasuram of “Sreerasthu Shubhamasthu” narrated a good storyline and he liked it; confirmed the project in single sitting. His vision is broader than story. We are happy to associate with Parasuram on second film. Bunny Vas is a hit producer with 100% Love, Pilla Nuvvu Leni Jeevitham and Bhale Bhale Magadivoi to credit. Sarigama Cinemas is excited to continue our relationship with Geetha Arts production house. Our sincere and heartfelt thanks to Allu Arvind gaaru and Bunny Vas gaaru for their continued support to Sarigama Cinemas.